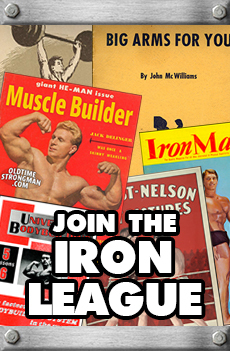 Reg Park Shows You How! ever lived, Reg Park is right at the top of everyone’s list. 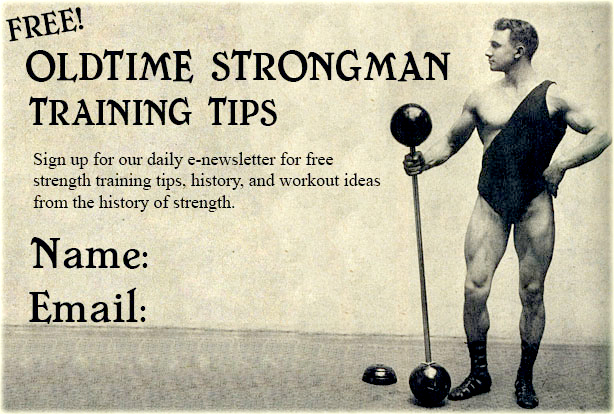 …how often does he train? …what about the “mental” side of training? Reg shows his championship form — Reg would be the first to tell you that his training consisted of basic exercises and a lot of hard work. This basic, no-nonsense training guide cuts through all the fluff and gives you only the essentials for getting results. 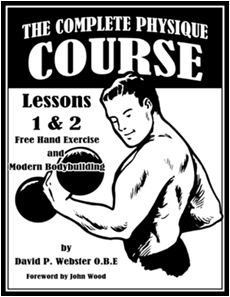 Strength & Bulk Training for Weight Lifters and Body Builders was originally published in 1960. The modern reprint edition is faithful to the original, is 8-1/2″ x 11″ in size, 24 pages long and contains some pictures. Jim Haislop, the popular bodybuilder from Tampa, Florida, shows the foundation of his development: squats. Haislop had quite a career, winning Mr. Florida in 1965, Mr. North America in 1966, Mr. Northern States and Mr. USA in 1967, Mr. America and Junior Mr. America in 1968 and took first in his class at the 1969 NABBA Mr. Universe contest. Enrico Tomas, from New York City, is shown here on the January, 1955 issue of Strength and Health magazine. Enrico only competed in a few bodybuilding contests but never finished lower than third and in 1954, he took first both in the AAU Mr. New York State and the NABBA Mr. Universe. Ladies and Gentlemen, “Mr. Universe” Frank Zane on a pogo stick! – This was taken at Sunken Gardens botanical garden in St. Petersburg, Florida on January, 17th, 1969. On that day, Zane set an unofficial record of sorts by seeing the entire attraction by way of this bouncing mode of transportation. It’s not hard to see why Steve Reeves was known as THE Classic Physique – just take a look. During his career Reeves won nearly every contest he entered, including: the 1947 AAU Mr. America, Mr. Pacific Coast and Mr. Western America Contests, the 1948 Mr. World contest, and the 1950 NABBA Mr. Universe contest. Reeves was well-known for his broad shoulders which were measured by Armand Tanny at an unbelievable 23-1/2 inches! The Billard Barbell Company, out of Reading, Pennsylvania, hit the scene in the early 1960’s and featured their equipment primarily in department and sporting goods stores. If you got one of their weight sets, you also received this nifty training manual featuring Bruce Randall, the 1959 Mr. Universe winner. Randall made appearances at sporting good stores promoting and demonstrating Billard equipment. 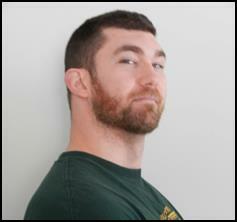 As a side note, Billard was actually the third barbell company based in Reading, PA (after the Good Barbell Company and the Reading Barbell Company.) In addition to weights, the Billard Barbell Company also boasted a national championship caliber softball team.